There may be no such thing as a 100% hurricane-proof building, but our Florida approved products help. 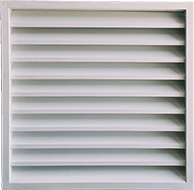 The Florida Building Commission approved 12 Metallic Products ventilator and louver products for use by the state's construction industry. 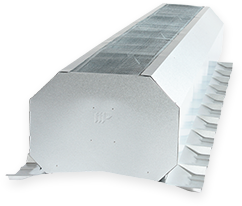 These products are enhanced versions of our standard line and, as with all of our products, are specifically designed for use in metal building construction. That approval encompasses the entire state of Florida, with the exception of Dade and Broward counties. How did we obtain Florida approval? Our team worked closely with outside testing facilities, third-party evaluators and validators to develop products that met the state's stringent hurricane building codes. Those products underwent extensive wind uplift and large missile-impact testing. Today, our company undergoes annual audits during which an outside agency analyzes our quality assurance manual and manufacturing procedures to ensure the products can stand up in extreme weather conditions. For more information about Florida Building Commission requirements, visit floridabuilding.org.